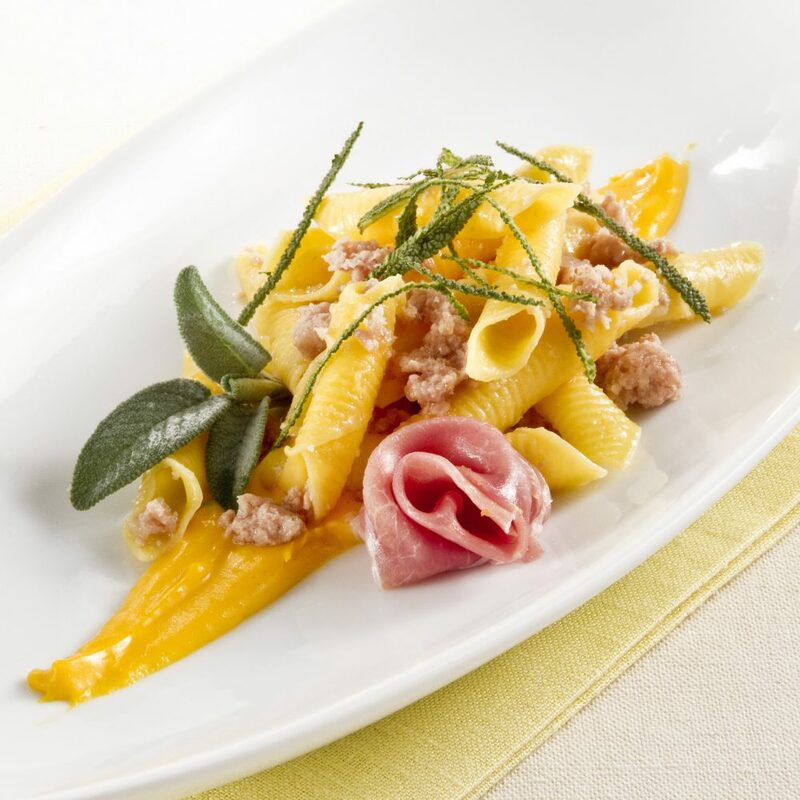 Garganelli Pasta with Prosciutto di Parma is a unique Prosciutto pasta recipe that will certainly have all who try it asking for seconds. The rich and creamy zabaglione wonderfully complements the saltyPprosciutto, and the garganelli is the perfect vessel to soak up all the creamy goodness. Enjoy this prosciutto pasta dish with a glass of red wine and a side of greens for the perfect weeknight meal. Mince the Prosciutto di Parma and onion on a cutting board, until they’re mixed thoroughly. Add the Prosciutto and onion mixture into a pan with the butter and cook slowly without browning. In a double boiler prepare sauce by combining the egg yolks, stock, cream and chopped sage by stirring continuously until it is thick and temperature 145 to 150 degrees F. If it overcooks and lumps are formed, this can be corrected with the help of an immersion blender. Add the grated Parmigiano-Reggiano cheese. Boil the garganelli pasta salted water, drain and then toss in a saute pan with the Prosciutto and onion mixture, and the sauce. Portion pasta dish into 4 bowls. Garnish with whole sage leaves, sage cut into julienne strips and a slice of Prosciutto di Parma rolled into a rose shape.